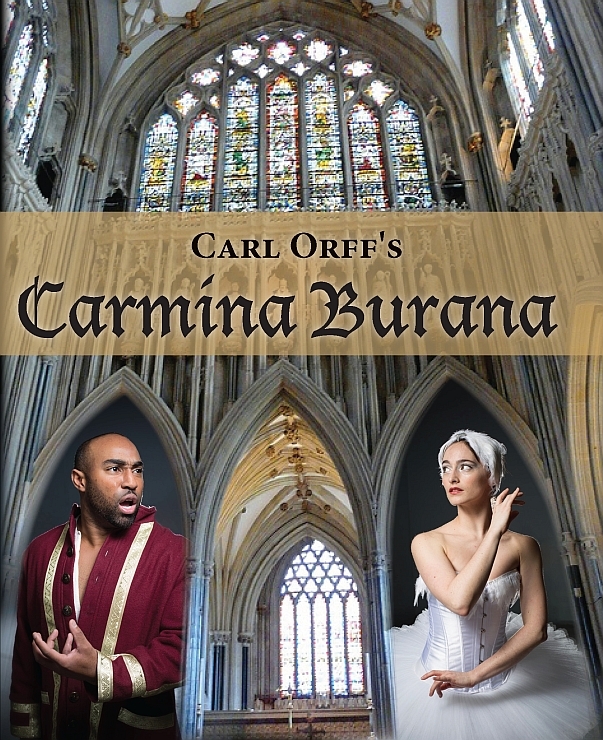 Carmina Burana was the first production on which Bevan Keating, Bruce Rentz, and Rebecca Stalcup collaborated, bringing together six vocal soloists, a company of ballet dancers, a 230-voice choir, and a live orchestra for two spectacular performances of Carl Orff’s masterwork. 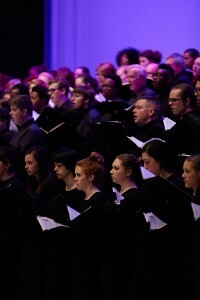 Nearly 1200 audience members attended each performance at the Maumelle Performing Arts Center. The success of this groundbreaking production laid the foundation for a new performing arts organization — Praeclara — to be formed over the summer, launching its inaugural season with Peter Grimes in September 2014. Touching on themes of love and loss, victory and despair, and suffering and ecstasy, Orff’s powerful music is a perennial favorite at symphony houses and stages around the world. The opening and closing movement, Fortuna Imperatrix Mundi, permeates popular culture as background music for numerous movies, advertisements, and video games. Keating, Rentz, and Stalcup dramatize Orff’s music through the stories of three young men and three young women poised at the beginning of life’s adventure. The characters in each couple are personified by both a singer and a dancer who work together to express the story through both sound and movement. The characters come from varying stations and circumstances, but all have full and exciting futures ahead of them as the performance begins. They soon find, however, that their lives are subject to the whims of fortune — personified in the goddess Fortuna — and that the happy endings they may have envisioned for themselves are not so easily attained. The couples embark on journeys of hope and love, only to find themselves confronted with obstacles and temptations they had not anticipated. All the characters are tested: some do not survive, and none remain unscathed. The production’s finale offers no respite, for even when one couple believes they have conquered Fortuna’s trials, the concluding number reminds the audience that the wheel continues to cycle. Fortuna’s wheel comes full circle, sending the children of the next generation into the world to seek their destiny. Ensemble Dancers — Mary Helene Brady, Caroline Caldwell, Catherine Caldwell, Laura Craig, Elizabeth Dawson, Catherine England, Lauren Estes, Victoria Fender, Julianne Fletcher, Mary Claire Fox, Anna Gaydos, Rebekah Gee, Ali Herring, Kyndall Jackson, Aly Jameson, Danny Jiminez, Blythe Keating, Brock Keating, Jane Landrum, Bella Marbaise, Alexandra Marshall, Grace Pitts, Addison Pledger, Grace Rew, Marilyn Ronnel, Mersey Fulper Smith, Jaclyn Speights, Avaleigh Stalcup, Farah Stalcup, Holland Stalcup, Georgia Thomas, Louisa Utley, and Elizabeth Hartzell Wood. Photo credits: Carmina Burana poster photos of James Wafford III and Emily Karnes by Michael Baxley, poster design by Kathy Oliverio and Karen Kuralt; Carmina Burana performance photography by Kelly Hicks .